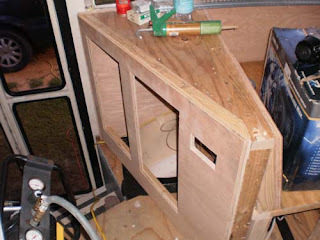 We started by cutting out the cabinet face for the area behind the front dinette seat. 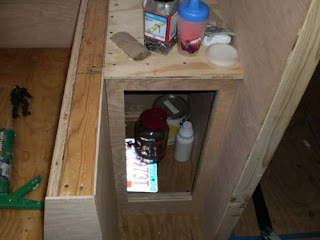 There will be two cabinet doors here. The top right cutout is where my inverter remote will go. 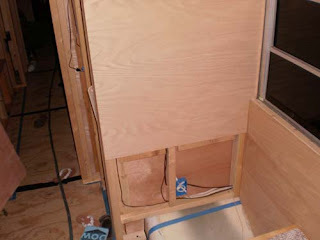 Next we cut out the face of the cabinet that sits behind the other dinette seat. 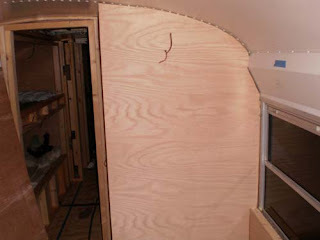 We also did some more paneling in the master bedroom on the passengers side.